YES! WE NOW HAVE AIR CONDITIONING!! We have been without AC for two weeks and I hurt my back last week. No idea how I hurt it; probably something strenuous like -breathing 😉. Last year while driving, I came to an unprotected intersection (no lights or traffic signs). I looked left, then right, the left again. It was upon that second left that I felt something pop in my neck and then came the pain! Yes, I strained a muscle in my NECK according to my pcp (primary care physician). Anyway, I am on the mend and playing catch up. 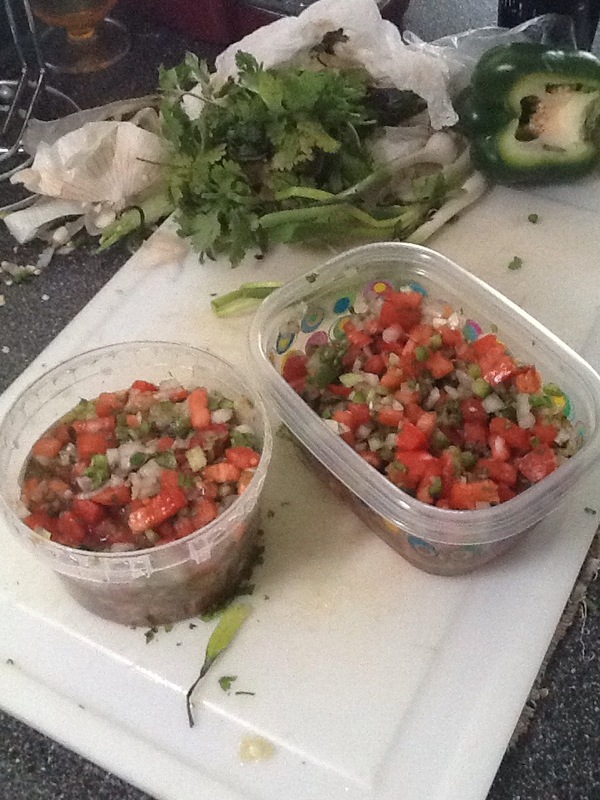 So many gardens in our area have done well with tomatoes and I am grateful they shared with us, so I decided to make some fresh salsa this morning. What’s a little bending over to chop tomatoes, onion, celery, bell pepper, jalapeños, cilantro, celery while I am on the mend from a pulled muscle in my back. I’m a little on the tall side and often have to stoop or bend slightly to wash dishes or utilize the counter tops. The average sized people in the house don’t have this problem. Ok. Moving on. 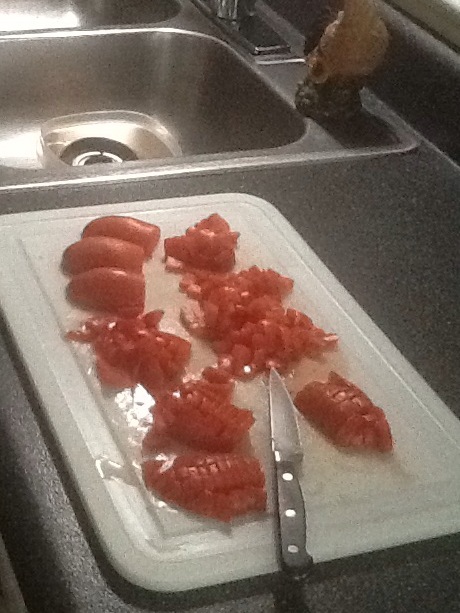 The salsa came out wonderful as usual. I try to save containers I get from stores to re-use and to keep from buying more plastic container -my portion of lessening my footprint on the planet. 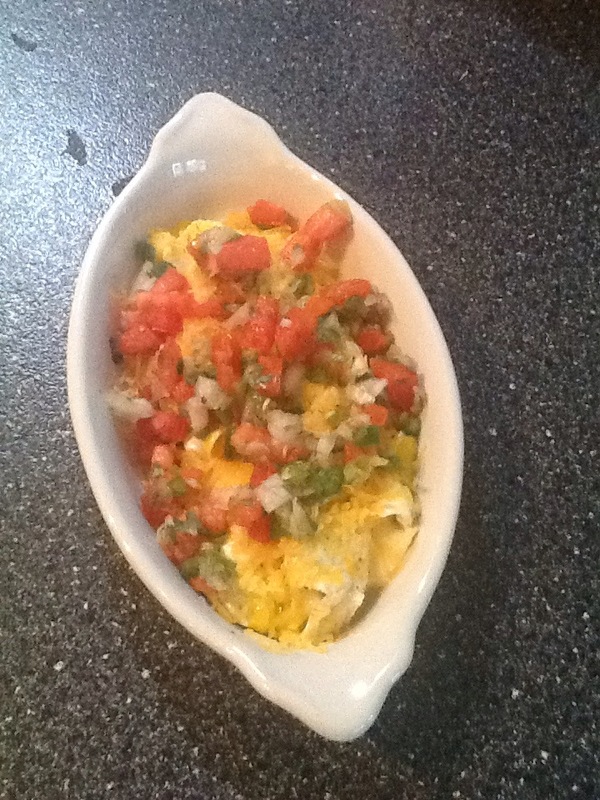 After everything was cleaned and put away, I made some eggs over medium, sprinkled with cheddar and salsa. Hmmmm…brunch.